Calling Card of the Surveillance State. "We're going to make this much more difficult for you if you don't cooperate." This stereotypically thuggish threat issued from a stereotypical thug named Vincent, an FBI agent who was among a half-dozen Feds and local police who descended on the Santa Clara home of 20-year-old Yasir Afifi earlier this month. A few days before that visit, Afifi had discovered a government-issue GPS tracking device attached to his car during an oil change. 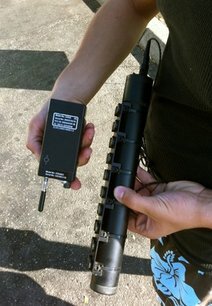 A few days later, one of Afifi's friends posted a photo of the unit (an Orion Guardian ST820 tracking device, which is sold exclusively to law enforcement agencies) to an on-line file-sharing site. This sent the Stasi scurrying to Afifi's home to reclaim the surveillance gear it had surreptitiously planted on his car. They also took the opportunity to bully and brow-beat the college student, whom they had pestered several months before following an anonymous tip that the natural-born U.S. citizen was a "threat to national security." During the earlier visit Afifi stiff-armed the Bureau of Frame-ups, Bullying and Intimidation, telling them he would answer their questions if his attorney approved. The Feds appeared to lose interest in Afifi after his attorney contacted the Bureau. In fact, they were continuing to keep him and his friends under surveillance: Not only did they secretly place a tracking device on Afifi's car, they also kept track of his travel plans, his employment status, and even shadowed him when he took his girlfriend out on dinner dates. During their visit to reclaim their snooping device, the Feds seemed determined to wring from Afifi some kind of damaging statement about his friend Khaled, who had posted the photo of the GPS tracker. One of the interrogators produced a printout of a blog post written by Khaled that " had something to do with a mall or a bomb," Afifi related to Wired News. He was also told that the FBI had stationed other agents outside Khaled's house, a statement Afifi described as "weird.... I didn't really believe anything they were saying." It is entirely reasonable to believe that every word uttered by a representative of the FBI is a deliberate falsehood. It's also something in the neighborhood of a certainty that Afifi's timely and unexpected discovery of the FBI's tracking device ruined the Bureau's plans to blackmail him into joining its ever-expanding stable of informant/provocateurs. Just days before the FBI swarmed Afifi's home to recover its illicitly planted tracking device, federal prosecutors dropped charges against Afghan immigrant and Arabic language instructor Ahmadullah Sais Niazi, who was accused of concealing "ties to terrorist groups" in his citizenship application. Niazi's supposed offense was neglecting to mention the fact that his sister was married to a Taliban leader who -- at the time -- was distantly allied with someone believed to be affiliated with al-Qaeda. This would mean that Niazi, who had settled in Orange County, California, was "linked" to terrorism in the same way that Dark Helmet was connected to Lone Star in "Spaceballs" ("I am your father's brother's nephew's cousin's former roommate"). As Niazi pointed out, he didn't choose his in-laws or be responsible for their chosen associations. But the FBI, like secret police in every despotism, are quick to capitalize on exploitable vulnerabilities of this kind. Niazi was arrested by the FBI in early 2009. Thomas J. Ropel III, a Special Agent assigned to the Orange County Joint Terrorism Task Force, claimed that Niazi had approached an "undercover informant" and offered to send him to terrorist training camps in Yemen or Pakistan. In fact, just shortly before the FBI abducted Niazi the Bureau had presented him with what could be called the "Randy Weaver Ultimatum": Either become an informant, or (as Niazi summarized the demand) "we'll make your life a living hell." Ironically -- or, perhaps, not -- two years before being arrested as a supposed terrorist suspect, Niazi had actually reported a potential terrorist threat to the FBI before being presented with that demand. That threat had been issued by Craig Monteilh, aka "Farouk Aziz," the career criminal who had been planted by the FBI as an infiltrator/provocateur in the Irvine mosque attended by Niazi. The first Friday of June 2007, Niazi and Monteilh -- who was posing as an Islamic convert of mixed French-Syrian ancestry -- were sharing a ride to the mosque in a car driven by Mohammed Elsisy, an Egyptian-born software engineer. A story published a few weeks later by In Focus News (a periodical covering matters of interest to Muslims in Orange County) described how, apropos of exactly nothing, Monteilh "started talking about the Iraq war," according to Niazi. "He went off on a rant against U.S. foreign policy in the Middle East." Portrait of a Provocateur: Monteilh. The FBI's provocateur then asked if either Elsisy or Niazi "knew of an `operation' he could be part of." This wasn't the first time Monteilh had made that pitch: Irvine resident Ashruf Zied, who also attended the mosque, recalled that the informant "approached him one day claiming to have access to weapons and asking if he wanted to join him in `waging jihad.'" The first is that, in keeping with standard FBI procedure, Monteilh's recruitment pitch focused on the real cause of Muslims resentment toward the United States -- Washington's imperial foreign policy -- rather than a supposed theological imperative to slaughter and subdue infidels. The second critical point is that -- once again, as is common in cases of this kind -- the local Muslims wanted nothing to do with Monteilh once the provocateur began his campaign of incitement. Some of the people who attended the mosque to worship gave the FBI's inside man a wide berth; others simply stopped attending services. Immediately after their unsettling conversation with Monteilh, Niazi and Elsisy approached Hussam Ayloush, director of the Southern California Chapter of the Committee on American Islamic Relations (CAIR). According to Ayloush, Niazi and Elsisy were worried that the guy they knew as "Farouk" had "gone crazy or is about to do something.... and they would be considered accomplices since they knew him." Ayloush himself had been cooperating with the FBI since shortly after 9-11, in exchange for assurances (which, unfortunately, he accepted in good faith) that the Bureau would not infiltrate mosques and keep them under surveillance. He immediately contacted J. Stephen Tidwell, assistant FBI Director in Los Angeles, to warn him about "Farouk." "I am calling to report a possible terrorist," Ayloush told Tidwell. "He is a white convert in Irvine." "Okay -- thanks for letting us know," Tidwell curtly replied, cutting off Ayloush. What he should have said was: "I know -- he's one of ours." Instead, Tidwell dispatched Special Agent Ellis Kuppferman to interview Niazi, Elsisy, and several others who had met Monteilh. This was done to determine if the FBI could wring any more use out of its infiltrator, and also to learn if any of those who became suspicious of the undercover asset could be induced into becoming informants themselves. Not content to allow the FBI to handle "Farouk," several members of the Irvine mosque -- including Niazi -- took out a restraining order against him. This prompted the FBI's asset to threaten retaliation in the form of a frame-up. "There is a restraining order against me," Monteilh complained to Niazi in an e-mail. "The FBI has contacted me. They want to interview me about certain rumors.... Ahmad, I have evidence of the things we discussed. I have proof. And lots of proof. Now it's my turn. I'm very sorry it had [sic] come to this." 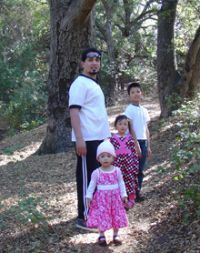 At the time Monteilh -- a part-time personal trainer with a criminal history going back to 1987 that includes burglary and grand theft -- was being paid extravagantly by the FBI to harass, torment, and frame innocent Muslims, he was defrauding two local women out of more than $150,000. In a scam reminiscent of Nigerian e-mail fraud, Monteilh somehow persuaded the women to "invest" large amounts of money to obtain and retail human growth hormone and similar products. Neither the drugs nor the promised profits ever materialized, but Monteilh was able to profit handsomely: In addition to the cash, he got a new car and a plasma-screen television out of the arrangement, as well as an extra-marital affair with one of the victims. Owing, no doubt, to interference from Monteilh's federal handlers, Irvine police permitted his scam to run long after the victims filed a complaint. 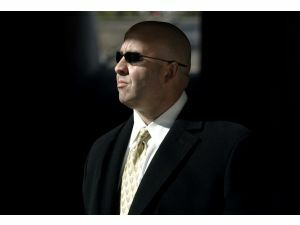 In September 2007, charges were finally filed against Monteilh, who confronted a possible five-year prison term. Thanks once again to federal intervention with the prosecutor, the FBI's provocateur was given a 16 month prison sentence, half of which he actually served. His probation term was also cut short at the request of the local prosecutor, as a reward for his valuable "undercover work." Monteilh was ruined as an informant, but he was already out of jail by the time the FBI turned its attention to Ahmad Niazi. Scum in a suit: Monteilh after his cover was blown. 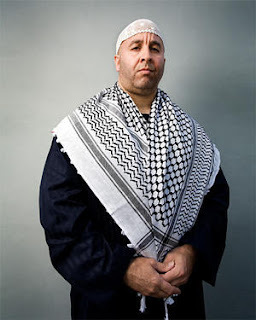 In June 2008, an anguished Niazi went to Ayloush's CAIR office to report that the FBI was threatening to prosecute him for "perjury" because of his failure to report his distant, attenuated, inconsequential "connection" to terrorism. Unlike Monteilh, Niazi had never harmed another human being -- yet he was told that he faced more than 30 years in prison unless he was willing to become an informant. "I came to America thinking this was a free country and I'd be treated with dignity and humanity," a tearful Niazi told Ayloush. The FBI has done more than its share to disabuse many people of such comforting delusions. Niazi's trial was scheduled to begin in November. He would very well be headed for prison if it weren't for another plot twist worthy of an Elmore Leonard novel: After spending years of harassing Orange County Muslims and denouncing both CAIR and the ACLU of being in league with terrorists, Monteih allied himself with them in a lawsuit against the FBI. In September 2009, Monteilh filed a $10 million lawsuit against the FBI (which doesn't appear likely to proceed at this point). A 28-page deposition he filed in that suit described how his handlers "gave me a quota to collect contact information for ten new Muslims per day." According to Monteilh, Federal Joint Terrorism Task Forces were running many infiltration/provocation operations "in areas with the biggest concentrations of Muslim Americans -- New York; the Dearborn, Michigan area, and the Orange County/Los Angeles area." A few months before filing that declaration, Monteilh had offered additional details in a motion he filed to set aside the CAIR restraining order. 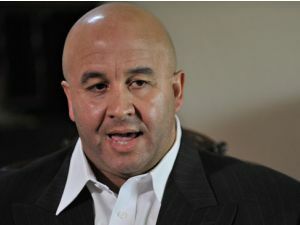 In July 2006, while Monteilh was working as a "self-employed fitness consultant" -- a rather sanitized description of the previously described scam -- he was "contacted by agents of the Federal Bureau of Investigation and was was asked by them to act as an informant, as to potential terrorist activities in Orange County," he testified under oath. The real domestic terrorist threat. Monteilh's handlers were identified as FBI Special Agents Tracy Hanlon, Paul Allen, and Kevin Armstrong, who acted under the direction of "Assistant Director of the Los Angeles Region of the FBI, J. Steven Tidwell, along with Special Agent in charge Barbara Walls." This simply can't be any clearer: It was the FBI's implanted thug who was advancing a terrorist "agenda" at the Irvine Mosque, and the faithful Muslims who threw him out. Furthermore, the Muslim immigrant who dutifully reported the FBI's infiltrator was threatened with a long prison term if he didn't "volunteer" to serve as a replacement provocateur. "If half of what he is saying is true," commented CAIR's Ayloush of Monteilh's claims, "Americans would come to the conclusion some FBI agents were being trained by the KGB." This isn't strictly true: Since July 1994, when then-FBI Director Louis Freeh signed an accord in Moscow with the leadership of the FSB (the KGB's successor organization), the political police in both Russia and the USSA have been full-fledged partners in "counter"-terrorism. As was the case with Orwell's allegorical pig-men, it's difficult to say which has been the more corrupting influence on the other. Your donations are needed to keep Pro Libertate up and running. Thanks! Be sure to tune in each Saturday evening from 8:00-11:00 Mountain Time for your weekly dose of sedition, courtesy of Pro Libertate Radio on the Liberty News Radio Network. Your story is very well put together. It almost covers the entire spectrum. But very good. I admire your courage. More false flag operations originating from within the belly of the "Beast". I don't like it that one of my weaknesses is that while reading stuff like this and I come across words like, Ahmadullah, Afifi, Monteilh, and Niazi my eyes glaze over a bit and I find it difficult to follow the flow of ideas, to connect things, or to relate to the people involved. Even my browsers spell checker has a problem with those words and suggests corrections like Afire, Afield, Affix, and Affirm. I suspect that is also true for a great many Americans which makes it easier for them to put terrible things like this out of their minds, out of their conversations and allows them to not include any bit of it into their outlook on the world except what they are told to think by their masters in goberment. The photos on the other hand, speak volumes. Especially the smug looks, the fancy-pants sunglasses with the uber "I'm too cool for you peons" attitude,... that I understand and can relate to. About 40 years ago I was a student overseas. I remember playing the board game Risk with some other foreign students one night, all of us trying to "take over the world". I won the game by blitzkreging from China to South Africa and winning all the little plastic pieces. Next morning I went to the local police bureau to extend my visa, and only questions the officer had for me were about my "ties" to Red China! It amazed me how a "friend" could pass on such corrupted info. An excellent article, Sir. If only these abuses were chronicled in the MSM, maybe the FBI might start to reign in these egregious practices. If I may add some of my own thoughts: Some may ask the question, "Why?". What drives the FBI towards these practices? I can think of two reasons; one speaks to motivation and the other to methodology. Motivation: quite simply, what motivates these agents to conduct these types of malicious operations is careerism. Careerism at federal agencies is rampant. Any action the enhances the forward progression of one's career is fair game and we all become potential targets. Enhancing one's stature in the agency, and enhancing the agency's stature amongst the rest of the "alphabets" guarantees solid progression in one's career: promotion, plum assignments and the ever inflation of one's ego in an environment of ever over inflated egos. 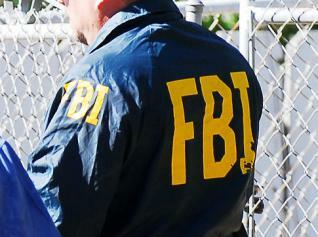 Methodology: The FBI, over the years, developed effective techniques for infiltrating organized crime groups and, to a lessor extent, state sponsored espionage conducted against the U.S. government. They were effective because they involved compromising people who were already breaking the law. This was their inducement to cooperate and the Feds exploited it successfully. Contrast that with what you have described above. Despite all claims to the contrary, there are not terrorist cells spread throughout the several States waiting to cut off all of our heads. So, in order to justify their "mandate" to protect us, they must criminalize peaceful, unsuspecting behavior so that they can then employ their tried and true doctrine to "root out terrorism wherever it may exist". The federal government, particularly their enforcement agencies, has spun well beyond the ability of the People to control it. The only solution we, as a People have , to end this train of abuses (save rebellion) is elect a Congress that will, among other things: enact legislation repealing McCulloch v. Maryland and Marbury v. Madison and other of the mischief done by the Marshall Court; enact legislation so as to repeal the XIV, XVI and XVII Amendments to the Constitution. If a Congress did no more than accomplish these three actions, we would be well on the way to restoring the personal and economic liberties our founders sought for themselves and their posterity. I urge everyone to make these the central issues for anyone seeking elected federal office. This is all no surprise really. Take into consideration the government's hiring of Stasi agents from East Germany and mirroring the KGB in tactics and propaganda and this is actually typical. We never know how many snitches are working right beside us everyday, watching, documenting and reporting on us. Some of the people who attended the mosque to worship gave the FBI's inside man a wide berth; others simply stopped attending services. The last part of the above quote certainly HAS to have been an intended outcome of the FBI's strategy, even if only a small side benefit. Discouraging members of a marginalized and unpopular minority culture from attending their place of worship is just one of many forms of persecution/PSYOPS used by the alphabet agencies of the regime to persecute and control. It represents a de facto violation of the First Amendment's freedom of speech, association, and religion, one that shouldn't surprise anyone who has been sentient for the last decade. Of course no one in the majority will utter a peep of protest about this, since it's only happening to "terrorist ragheads." "Discouraging members of a marginalized and unpopular minority culture from attending their place of worship is just one of many forms of persecution/PSYOPS used by the alphabet agencies of the regime to persecute and control. It represents a de facto violation of the First Amendment's freedom of speech, association, and religion,..."
That caught my attention too. It seemed so very wrong and so very un-American, you know, the other American, not the, "loves water boarding American". It's almost as if Satanist had overtaken western governments and allowed them a free'er hand to do bad. ... Is that why Chris Mathews so vehemently defended Rand Paul against the political attack by his opponent recently? Because he knows a significant number of people in various positions of power today are Satanist and it would do them no good politically if they had to be more open? It makes ya wonder. Yeah, I know that's bizarre, but what if it were true? Some people act as if Satanism doesn't exist at all, anywhere. Talk about blinders. not because their bad, but because they are so very true and accurate. Someday soon the Feds will likely be knocking on my door, and ask me to inform on others. I have in mind to repeat them the words Paul of Tarsus wrote. "I cannot co-operate with you, because you represent evil, and as a follower of Jesus, I am not allowed to have fellowship with darkness." Hopefully they dont taser me. "Hopefully they dont taser me." Ah, but of course they will. They like it like that. What's that verse about the world persecuting you for being a follower of Jesus? It seems like we're at about that point in time, but Idk. "Hopefully they don't taser me." "The only solution we, as a People have , to end this train of abuses (save rebellion) is elect a Congress that will, among other things: enact legislation repealing McCulloch v. Maryland and Marbury v. Madison and other of the mischief done by the Marshall Court"....etc., etc. "Political systems derive their power not from guns and prisons, but from the willingness of those who are to be ruled to expend their energies on their behalf. For state power to exist, a significant number of men and women must sanction the idea of being ruled by others, a sanction that depends, ultimately, upon the credibility of those who exercise such power. When we vote in an election, we are declaring, by our actions, our support for the process of some people ruling others by coercive means. Our motivations for such participation – even if they be openly expressed as a desire to bring state power to an end – do not mitigate the fact that our energies are being employed on behalf of the destructive principle that liberty and social order can best be fostered through the coercive machinery of the state." "If I am of the view that politics is destroying our world – and let us not forget that politics managed to kill off some 200,000,000 of our fellow humans in the 20th century alone – am I prepared to direct my energies into such a destructive system? If I answer "yes," which I would do if I voted, then do my philosophic principles have any real-world meaning to them, or are they simply amusing ideas to be talked about, debated, or dispersed across cyberspace? If I cannot end the division within myself by living with integrity (i.e., by having my behavior and my principles integrated into a coherent whole) then what hope is there for the rest of mankind doing so? I am mankind, as are you, and as Carl Jung so eloquently put it: "if the individual is not truly regenerated in spirit, society cannot be either"; that the individual must realize "that he is the one important factor and that the salvation of the world consists in the salvation of the individual soul." To participate in politics is to consciously devote one’s energies to mass-mindedness; to the statist proposition that collective thinking and collective behavior preempt the will of the individual." "At no period in my lifetime have the opportunities for reversing the dehumanizing nature of politically dominated societies been greater. Leviathan is dying as a consequence of its inner contradictions. Those of us who love liberty should rethink any temptations we might have to rush to the deathbed of statism and attempt to revivify its corpse by giving it a transfusion of our energies." Words worth considering. If we fight with Satan, can we ever win? If we instead embrace God and His works, and His gift of free will to all humans, Satan, deprived of the strength gained by our resistance, will wither away and die. This was how Gandhi, one frail little old man in a loincloth, managed to defeat the vast might of the entire British Empire: by refusing to fight it, but instead just by going his own way and doing his own thing, and getting 500 miilion other Indians to do the same. The British issued a warrant for his arrest - he presented himself to the police for incarceration and the country became ungovernable, so they had to let him go. They could not just kill him - what happened when the FBI assassinated Martin Luther King Jr. is a glimpse of the frailty of Leviathan and the power of free human beings. Imagine an election in which not one single vote was cast. Who would "win"? The Democrat with no votes or the Republican with the same number? If the American people - every last one of us - refused to participate in our own subjection, Leviathan would be forced by the Constitution to disband itself and go home. "Someday soon the Feds will likely be knocking on my door, and ask me to inform on others." One of the greatest, and arguably the least appreciated, gift we have received from the creator is the gift of silence. The founders knew this when they penned the IVth article of Amendment. The Court's have recognized this, time and again, that(I do not have ready access to the cites) your silence can not be used against you nor is it indicative of a crime. You don't even have to confirm your name to them. They must prove who they say you are, unless you do it for them. Your silence is your best, first protection from the unlawful acts of the agencies of government. Any query from an agent can (and in most cases should) be answered with the words, "I choose to remain silent" and, secondarily, "I do not consent to a search of my person and/or property". You can not be lawfully compelled to relinquish this gift. You can be tricked into it, but not compelled. Silence is, indeed, golden. It requires uncommon strength to use this gift. The forces of evil will seek to trick you into giving up this gift. They will make seductive promises and terrifying threats. Again, silence is and always will be your strongest, first defense against tyranny and evil, as it marches across our land under the guise of the law. @ Lemuel Gulliver, thank you for your thoughtful response. I also enjoy Mr. Butler's writings on lewrockwell.com. I hesitate to say this, and I mean no disrespect, but in the material you quote, he comes across, to me, as an ideologue. It is true that if no one voted there would be no winner, but if only one person voted, there is then a clear winner, and the system goes on, unchanged. I ask you sir, what is the greater likelihood: No one person voting or, at the very least, one person voting? The harsh reality of our situation is that there will always be some number who will take action, over inaction, to further their political aims. Though they be a minority, all is required in a democracy is for a majority of the minority who vote to preserve the status quo, or make it worse. Ghandi was indeed a special man at a special time. A main difference between the That time and place and the the ones which find ourselves in now is, the Indian people new that they were the colonial subjects of a foreign monarch. Few in the country we view themselves in that condition. Comparing that time and place to ours is an apples to oranges comparison IMHO. The point of my post is to acknowledge the reality of our situation and suggest concrete political actions that may result in placing the neck of government back under the heel of the People, where it rightly belongs. You are of course right. There are too many self-interested people, who will always pursue their own interests at the expense of their fellow-man. They will support the institutions of Leviathan, allying themselves with the elite oligarchs and oppressors, and gathering the crumbs from their table. That has been the human dilemma since history began to be written, and probably before, since Jane Goodall has documented troops of chimpanzees behaving in just this way. It is a Utopian ideal, which will certainly never be realized, for me to propose a world in which all humans behave unselfishly. There will always be chimpanzees among us, some of them elected to office by the other chimpanzees to serve as Republican Presidents, and as a result, the humans among us will always suffer under the rule of the less-evolved apes. Still, in this Planet of the Apes, expecting one tribe of chimpanzees to rule us humans more kindly than another tribe is also a Utopian dream. We agree really, except that I am an incurable cynic in regards to persuading groups of monkeys to behave like people, while you still preserve a glimmer of hope. You are probably younger than me. I, too, was once an innocent, hopeful that some trace of humanity would arise in the breasts of our rulers. No more. We're all familiar with the phrase, "thought my life was in danger" that the cops use. It struck me after reading tommy bionicus write, "...I have in mind to repeat them the words Paul of Tarsus wrote." that perhaps when the cops say someone was, "speaking incoherently and babbling" that this is what they are referring to? An ears and can't hear kind of moment? I saw Tom Woods speak a week ago here in Phoenix, and he basically repeated what malmohuset states above. He pointed out that we now have ways (primarily the internet) of going around what he calls "the gatekeepers," (mainstream media) to educate enough people so we can reach "critical mass," which will turn things around. As a starting point, he recommended a page on his website, tomwoods.com/learn-austrian-economics/ But he didn't explain what happens then. In other words, no matter what approach is used (and I address other possibilities below), when enough people are educated – whether that's a number, a percentage, whatever – when that "critical mass" is reached, what happens? If it's not by voting out the bums, how do things change? Obviously, as an individual, there may be times when civil disobedience can be used, you find ways around obstacles in your personal quest for freedom, you may find a way to get an income without paying taxes or conforming to absurd regulations, drive instead of fly, leave the country, get off the grid, etc., but how do we implement these changes on a large scale basis? I want to see freedom in this country, not just have a way for me to get around impediments in my life or hide or run from the oppressors. Over the years, those of us of the Conservative/Individualist/Libertarian mindset that believe in limited government, free enterprise, Constitutional principles, a republican form of government, etc., have tried many approaches to restore our country to something more inline with what the Founding Fathers gave us. But there are many other approaches. There are many single-issue groups (pro-life, gun rights, homeschooling, "family values," etc.) trying to win their particular battle of the war. There are lobbyists in Congress. People sign petitions (generally a complete waste of time unless it's being done for educational purposes.) Others donate money to various organizations and causes. Some register voters for their party having been duped into thinking there is a difference between the Republicans and Democrats. Others use pre-political education to change the make-up of Congress by electing representatives that will honor their oath to support the Constitution and exposing the voting record of those who don't. (Which happens to be almost every single one of them.) Ron Paul has rightly exposed the machinations of the Federal Reserve System (this is a very important issue – I am not minimizing its importance.) Others are shining lights on the cockroaches (like the Council on Foreign Relations) that run governments from behind the scenes. And on and on. And while most of these approaches have some merit and some have had some pretty amazing success (at least in terms of educating people), I have become increasingly convinced that any approach at the federal/national/central government level is doomed to failure, and that the nullification approach is probably our best bet in terms of allocating whatever resources we have (time, influence and money) to this battle. That said, I'd like to ask Will what he thinks the best solution to the problem is. HIS forte is obviously writing, and he's writing for a reason. Assuming through books, videos, websites, etc., we can educate enough people (however many that is), then what? Into what type of action should that education be channeled? I understand that multiple facets of the problem can be addressed at one time in more than one way (e.g., working on the Nullification approach AND electing a good Congressman AND writing a letter to the editor AND...), so I'm not looking for one single tactic or solution – I would just like to know what you see happening if we can reach that point of critical mass and perhaps where the majority of our efforts are best spent. Here's part 1, that didn't make it. Parts 2-4 are above. Some of the comments above prompt me to ask Will a question I've asked of several people whose opinions I respect. My apologies in advance – I could probably just ask the question, but I want you to know I've thought about this in some detail, so here goes. As the post from LG notes, the mentality of the people at LewRockwell.com is not to vote. Somehow they are going to save the country without political action. But there is a post today in the Rockwell blog where Laurence Vance lists 5 reasons he doesn't vote, and number 1 is that he's not in Ron Paul's district. That's obviously funny (I LOLed out loud on that one, as Monk would say), but there's a curious disconnect there: voting is wrong, and doesn't accomplish anything - unless it's for Ron Paul. "I remember listening to Tom Woods talk as he attempted to answer the question of what should we all do about what we know. His answer was that you do what you can do, you do the things you are good at and the things you enjoy to spread the message. For Tom, it is writing and speaking. For me, I am no public speaker, and have never had much success with writing. However, I will make a few of these and dot them around the neighborhood this week. It may not be much, but then again, it was a lone individual with a sign on a freeway bridge that first alerted me to Dr Paul." Mr. Spock said, "Obviously, as an individual, there may be times when civil disobedience can be used, you find ways around obstacles in your personal quest for freedom, you may find a way to get an income without paying taxes or conforming to absurd regulations, drive instead of fly, leave the country, get off the grid, etc., but how do we implement these changes on a large scale basis? I want to see freedom in this country, not just have a way for me to get around impediments in my life or hide or run from the oppressors." I hate to break it to you, Mr. Spock, but you answered your own question here. The only way to achieve "critical mass" and really obtain the goal of liberty is for everyone to do exactly what you just suggested. Stop worrying about what everyone else is doing, get your ownself out of the system. Today, you would have crickets and me for company, but it's a start. Next month we might have a neighbor each also out; 2 years from now a block full of intelligent folks, 10 years from now, "critical mass." The ONLY way to peacefully effect the workings of the oppressor is to stop making excuses for your cooperation, stop paying for your enslavement and stop cooperating with them. Become just like those first Christians of the Roman empire. They didn't raise a fuss, they didn't try to vote their candidate into office, they didn't feed the lions, they just spread the word and stopped cooperating. The "personal quest for freedom," as you put it, is the ONLY quest for freedom. All of us who love this blog complain constantly about the great unwashed who prefer their stupidity, ignorance and slavery rather than even conceive of the possiblity of trying to be free. So your quest is not their quest. It is yours, and yours alone. "We" don't implement changes on a large-scale basis. Large-scale changes only come through 1 of 3 ways: The hand of God; the barrels of the guns of an army; or individuals coming to the same conclusions over time and committing themselves to living by those conclusions. Not one of these 3 methods is easy like voting. I wish every American starts thinking like U. Any chance I can get you to address my question? Mr. Spock, I'm still absorbing the question. I promise that I'll share any answer(s) that emerge from my deliberations. Thanks. btw, I just re-read what I wrote, and I realized that my asking about you addressing the question could have come across sounding snotty. Probably not necessary to say this, but to be on the safe side, that wasn't intended. The FBI, CIA and other American intelligence organizations are completely out of control and deep into illegal activities. In ordinary parlance and under ordinary laws, these groups are commiting blackmail, intimidation and extortion everyday against innocent victims. Unfortunately the government parties that are supposed to administer the laws of the nation have no interest whatsoever in keeping these groups within the confines of the law. The FBI is unethical and corrupt they frame people regularly and have an utter disdain for the truth. They don't care what a persons intent is as long as they can make them LOOK like they are doing something wrong that accomplishes the mission.